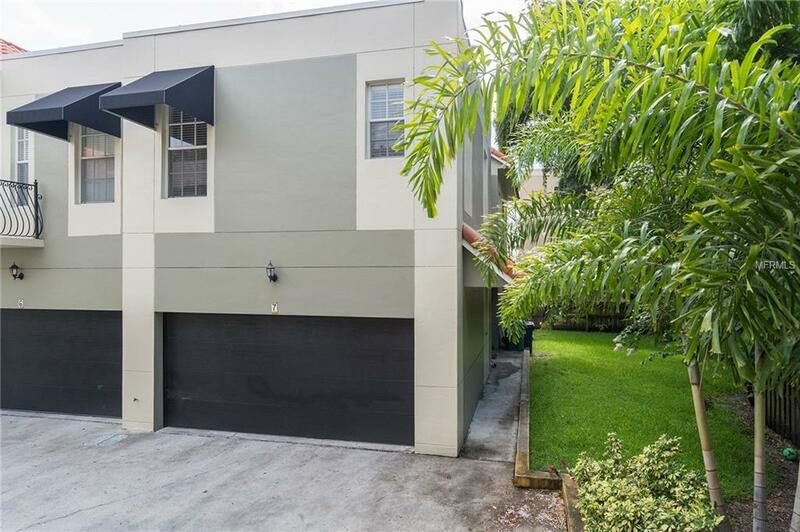 Stunning town home in the heart of South Tampa! This end unit also includes a generous, private side yard. This amazing property features an open floor plan with a spacious living area and kitchen. The granite counters and breakfast bar are perfect for entertaining or just everyday cooking. French doors open onto your own private, partially fenced side yard. Upstairs you will find beautiful new wood floors, an over-sized master suite with a large walk-in closet. The master bathroom features dual sinks, garden tub and separate shower stall. The additional bedrooms offer plenty of storage and are connected with a Jack-and-Jill bathroom. Laundry is conveniently located upstairs. This gated complex is extremely close to Hyde Park, SOHO, Downtown, fine dining, grocery and plenty of retail. Come see this amazing home for yourself today.